[codepeople-post-map]This beach, nicknamed ‘Tahiti Beach’ for very good reason, would have to be without a doubt one of the most divine beaches in Europe. It’s not hard to understand why it’s called ‘Tahiti Beach’. The whiter than white sands and the crystal clear water could have something to do with it and it’s not hard to imagine that when you’re standing in the water you could be actually on a beach in the south Pacific. This beach is one that should not be missed should you find yourself in the South Eastern part of Corsica. You may be of the belief that all beaches in Corsica are a bit like that but this one. Well, that is true they are a bit like this one, but this one, is different, its, more spectacular, with whiter sand and water that’s clearer, than any other and is very much well worth the trip. The satellite image of this area shows this beach standing out as a patch of stark bleached white sand that is contrasted by the surrounding area. The beach is a small bay of paradise about 150m wide and a couple of hundred meters long. As it’s in a nature reserve the beach is surrounded by a bushland setting and just behind the beach is a small lake surrounded by reeds. This setting gives the beach a certain sense of isolation that adds to that spectacular setting. Naturally for such a beautiful beach to remain so, access is only by walking or by boat. The bay provides safe anchorage far enough from the beach where you will not interfere with the swimmers. Swimming is idyllic in this cove with the white sand that ensures you can see the bottom for a long way out. There is also a great snorkelling on offer especially around the rocks of the headlands on both sides of the cove. The beach has a mix of textiles and nudists of equal numbers being mostly couples and family groups– the nudists are at the end closest to the La Chiappa resort and the beach can get very busy. There are no facilities at all so you will need to bring in your supplies for the day (water, food, umbrellas, etc) and there are no showers or toilets. This beach has a very relaxed atmosphere. Boat: – La Chiappa offers a boat taxi at various times and you are best to check with the resort. You may also be able to rent a boat from a number of boat rentals in the area and you may want to explore this option yourself. 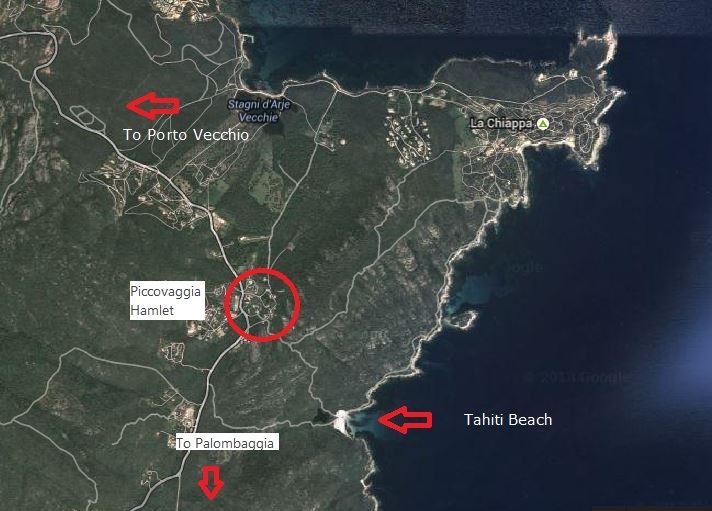 From La Chiappa: – take the 40min walk along the coastal trail from the resort past the small island of Farina – you can take this walk naked. 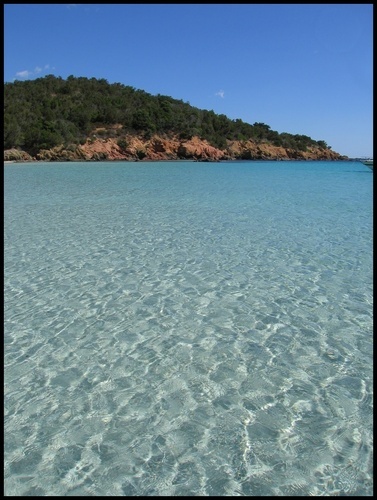 Access to this beach is by road from Porto-Vecchio, make your way to Piccovaggia about 9 km away. About 500 m on the road to the South of the Piccovaggia hamlet heading towards Palombaggia is a trail that leads to the beach. (N 41 ° 34. 571´/ E 009 ° 20. 196´). Parking is on both sides of the road and if you reach the ‘ranch’ or horse riding school you have gone too far. The path goes through the nature reserve and leads directly to the beach, it will take about 15 minutes and is an easy walk.